Awesome! If you send me your mailing address (maybe Twitter DM, or look for my email address on my About page… or submit it via Contact), it’ll be on its way to you! 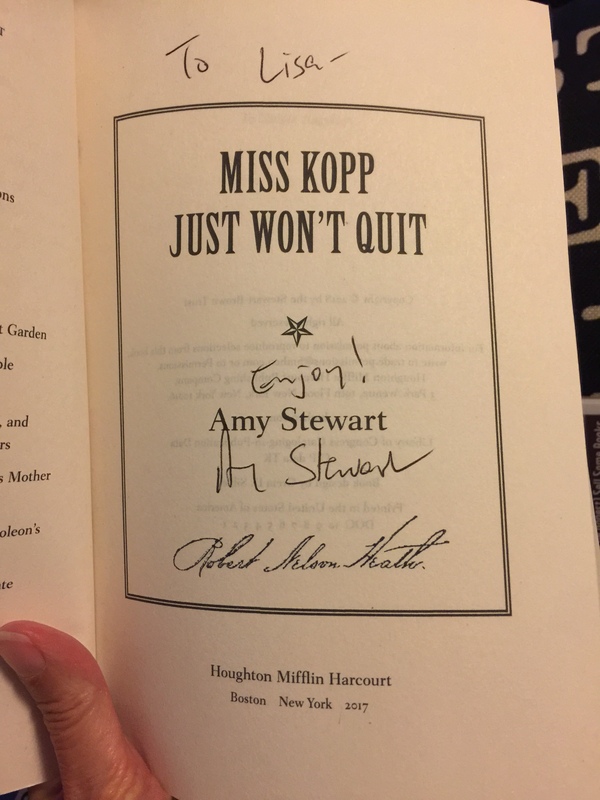 I hope you enjoy the books. I think because I first started the series via audio, that’s how I’ve continued. 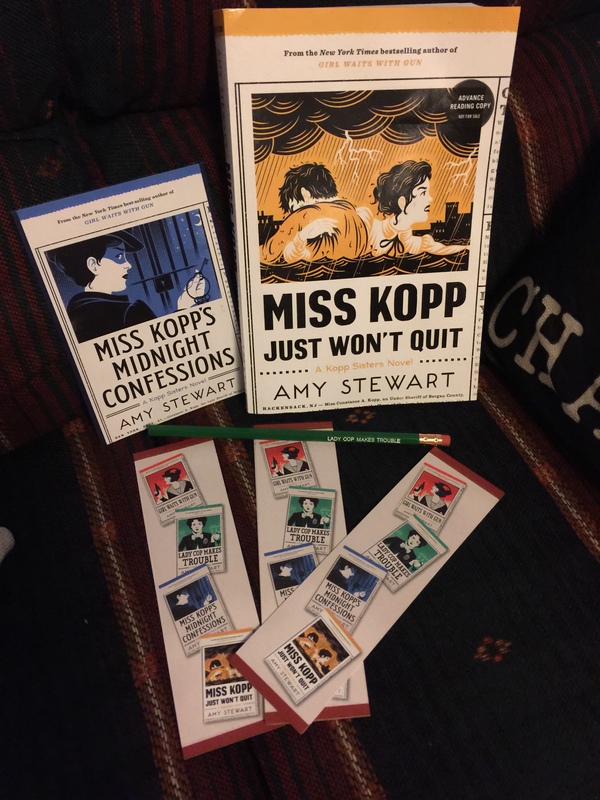 In fact, my only hesitation about the new book is that I’ve never read a print version of a Kopp Sisters story! I know I have at least the first two of these on my TBR! They sound like ones I will love! Strong female characters- yes, please! What a wonderful package you received! I can’t wait for your review, Lisa! Thanks! I’m so eager to get started. Really wonderful books! I love this series! I just started listening to the second book. It’s so great! I got an eArc for this so playing catch up!! Such great characters.